We can sell YOUR used Firearms! WE SELL IT ONLINE......thousands of hits daily. WE SHOW IT IN THE STORE! Contact us for Details. Sell your gun here! We can get you top dollar. We market for you online and instore. Don't do it yourself, we'll get you a higher price!!! This is a USED Smith & Wesson Model 60LS in great condition. This is a early variant of the Model 60, the Model 60LS Ladysmith Stainless w/a 3-inch barrel that shoots .38 Special ONLY. One of the rare models introduced between 1989 – 1992 that had wooden grips. Afterwards they were given rubber grips. In 1996, the caliber was changed from .38 special only to .357 Magnum and .38 Special. Ladysmith Stainless is still available, but now has a 2.17" barrel only. STURM, RUGER & CO., INC. (Made in the USA) New Model Single six 22/22mag, 6-1/2” Barrel w/extra Cylinder Serial # 62-204XX Ruger New Model Single Six .22 Cal. & .22 Mag. 6.5" barrel and adjustable rear sight. Bluing in good condition. HISTORY – The P-38 is considered the first modern combat handgun. 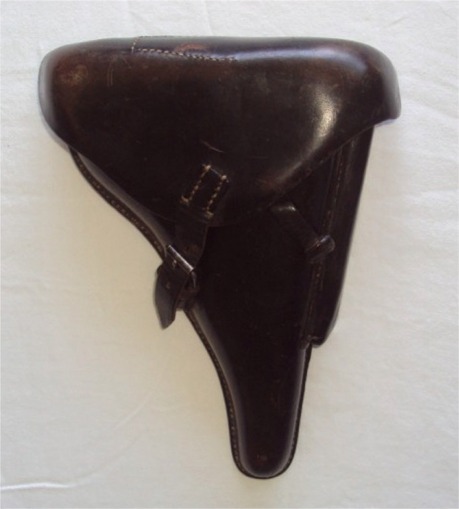 The design came immediately before WWII as a replacement for the aging Luger. The pistol was the first double action combat handgun and was produced during the war by Walther, Mauser, and Spreewerk. It had a de-cocker, firing pin block, and a loaded chamber indicator so it was safe to carry the pistol with a chambered round and the hammer down. 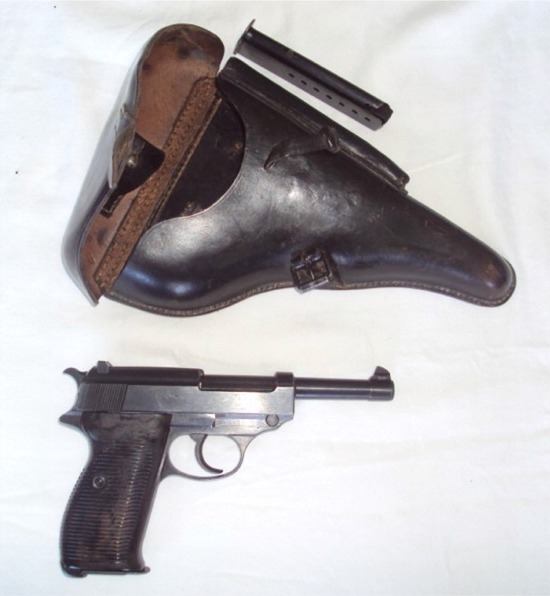 In 1935 the German "Heereswaffenamt" or "HWaA" began serious research for a replacement of the old Luger as they felt that the cost, as well as the sensibility of the P.08 to its ammunition, was too high. Several well-known German manufacturers took part in the competition, all were rejected by the Heereswaffenamt except the Walther. After some changes regarding its name, [model MP (=militaerpistole), AP (=armeepistole), and HP (=heerespistole)], and several other mechanical changes, the gun was finally given its approval by the military. Its official designation became "Pistole 38" or P.38 signifying the year of official introduction into the army. Here is an Original WWII P38 Luger 9mm Parabellum that my Grandfather took off a SS Officer in Italy and sent back home to my Grandmother. The pistol had been in storage until recently. Over 65 years old - The Pistol is in great condition with its original holster, (2) 8rnd clips and take down tool, a very rare find! On the gun there are several physical descriptions. The ac42 6534c description on this pistol is the military proof mark given as approval for all military issued P38s. The ac42s were marked 1-9999. 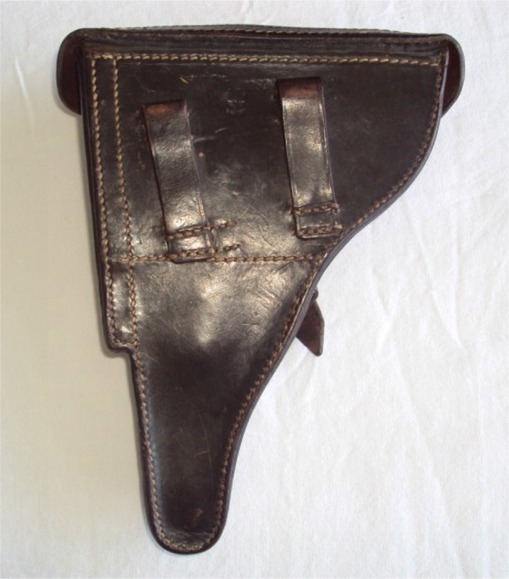 HOLSTER – The hard shell holster is military proof marked WaA101 with the eagle over it. 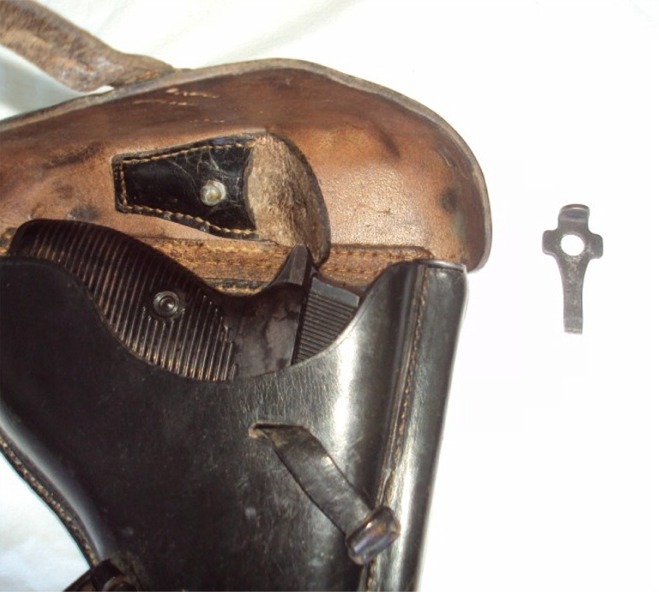 The Holster is marked 1939. Inside is the Luger take down tool. It was used to assist the striping of the weapon down for leaning and/or maintenance. TAKE DOWN TOOL - Roughly, 2”x 1”, small, blued, tooled steel construction, cruciform shaped tool, with a central circular, punched hole, a slotted edge to one side and truned up lip to one end. The tool has no visible manufacturer’s markings. Here I have an excellent Thompson Center Encore pistol for sale. This pistol has the Stainless Steel Encore frame. It has the 10" Thompson Center Custom Shop Barrel chambered in .357 Magnum. 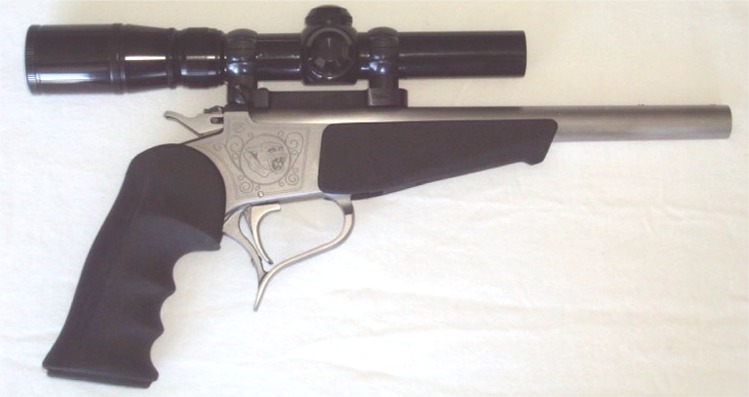 The base, scope rings, and scope are included in this auction. The scope is a Burris Redfield 2X-6X Handgun Scope.